One of Tennessee’s trademark qualities: its fickle weather. And this winter in Nashville, we’ve been wildly swinging from T-shirts to sweaters, from spring-y mojitos to warm-up coffee cocktails, in particularly spectacular form. As cold weather waxes and wanes we’ve found ourselves thinking about places to eat in Nashville that offer an extra serving of cozy. 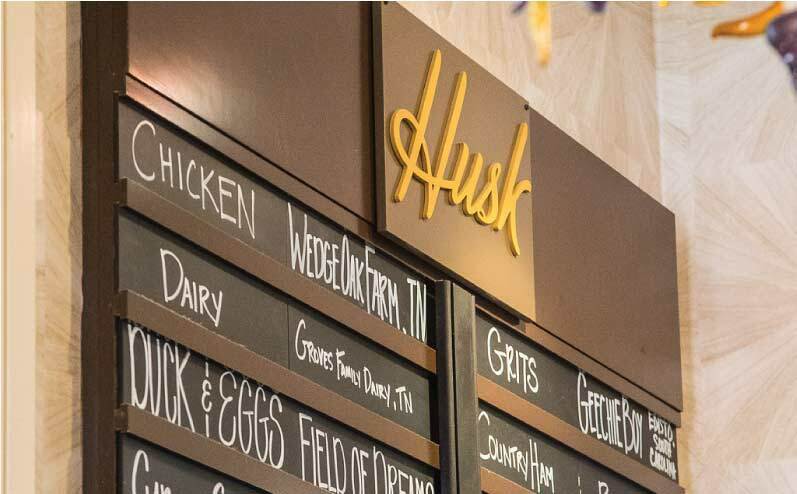 Lots of design/concept attributes can lend to cozy vibes — low lighting, healthy use of velvet seating, rustic wood wall cladding, menu items drenched in duck fat. But really, to us, the best way to bring the cozy — whether you’re in a Nashville restaurant or a Nashville home — is to offer a roaring (or at least crackling) fire to sit by. Below, a few of the Nashville restaurants we turn to when we’re in search of cozy comfort, from 12 South to East Nashville. 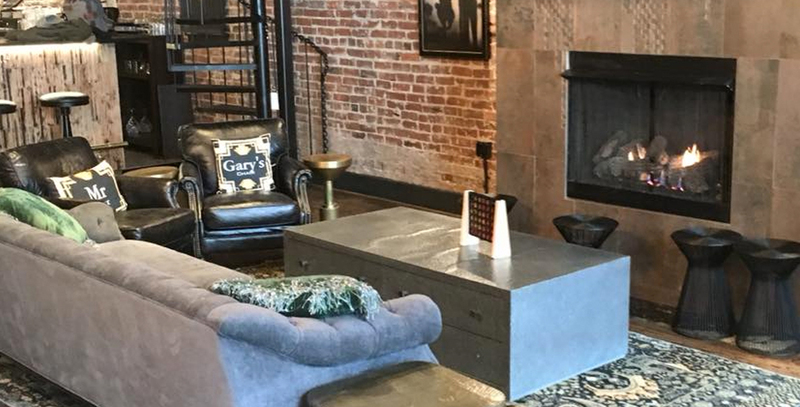 Next time you’re searching for places to eat in Nashville that’ll let you curl up by a warm fire while enjoying solid food and cocktails, we’d encourage you to give one/more a try. Rustic/stylish East Nashville hangout Urban Cowboy has a fire pit and a fireplace outside in their fenced-in patio (pictured up top, via @thepublichousenashville on Instagram), with loads of seating and the ambience of a friendly, low-key post-party. If you’re feeling like it sounds a little questionable, eating and sipping outdoors while the Nashville temperature is sinking, added point worth making: They keep a bunch of cozy blankets around too, and if you’re looking a little shivery, a staffer very well might bring one by, unasked. The menu changes regularly, but has been consistently great, from lighter salads to upscale tacos. On the cold-weather cocktails front: They do a fireside toddy that’ll warm you right up, deep into your bones. Printers Alley in Dowtown Nashville hasn’t always been thought of as cozy or sophisticated. But a lot’s changed there in recent years. The latest project from The Farm House’s Trey Cioccia, Black Rabbit fuses a Prohibition-era cocktail lounge with an ever-rotating menu of small plates cooked over live fire. The food satisfies comfort seekers with house-made breads and a 1/2 chicken, as well as the adventurous who can try scallop and chorizo tacos, rabbit rolls or vinegar pie. The cocktail program offers plenty of creative twists on the classics, along with freshly poured ideas. The year-old restaurant will also teach fireplace snobs not to turn up noses at the non-wood kind — Black Rabbit’s stylish gas fireplace churns out the perfect amount of heat, and when you’re seated fireside on comfy sofas surrounded by a rustic, exposed-brick wall, the vibes are every bit as cozy, even without the crackle. The name/concept makes it a little obvious, huh? But really, if you’re looking for a cozy winter hang, it’s hard to beat the idea of heading to a ski lodge, and Embers is the closest thing Nashville has to one, with lots of warm wood and brick, plus an indoor fire pit that pairs pretty well with loaded, hand-cut Belgian fries (you can load those up like nachos, if you like, with anything from bacon and cheese to a fried egg). Nashville’s City Winery is an obvious for a dinner-and-a-show list, but its large Downtown Nashville has a cozy side, too. Or rather, a cozy floor. The more intimate upstairs lounge hosts smaller shows than the main, and offers the full City Winery menu and bar, too, with the added cozy factor of a stone-clad wood-burning fireplace. 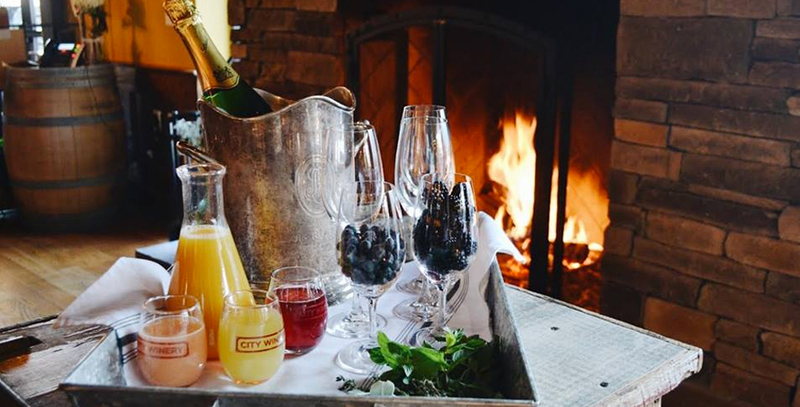 And if we were listing out our favorite wintertime evening activities, a glass of red by the fire would be pretty high up there. Fireside options at 12 South’s Urban Grub are plentiful. In the dining room on the whole, stone fireplaces are a key part of the aesthetic. If you opt to sit at the oyster bar, you’ll be facing onto the restaurant’s open wood-fired kitchen. Out back, they have a hearth that’s huge enough to roast a whole hog (it’s a full 10 feet wide, and they’ve indeed been known to roast hogs in it). And if you’re looking for a reserved, private space, gazebo with a fire pit sound OK? As for the food, anyone on the hunt for something fittingly winter-stout is sell-served — the restaurant dry-ages steaks in-house, and lots of serious steak aficionados we know swear by Urban Grub’s NY Strip.